Lakme Fashion week Winter / festive 2015 concluded ages ago (20 days to be precise ) but that doesnt stop me from compiling a list of the best of bridal couture showcased on the runaway . 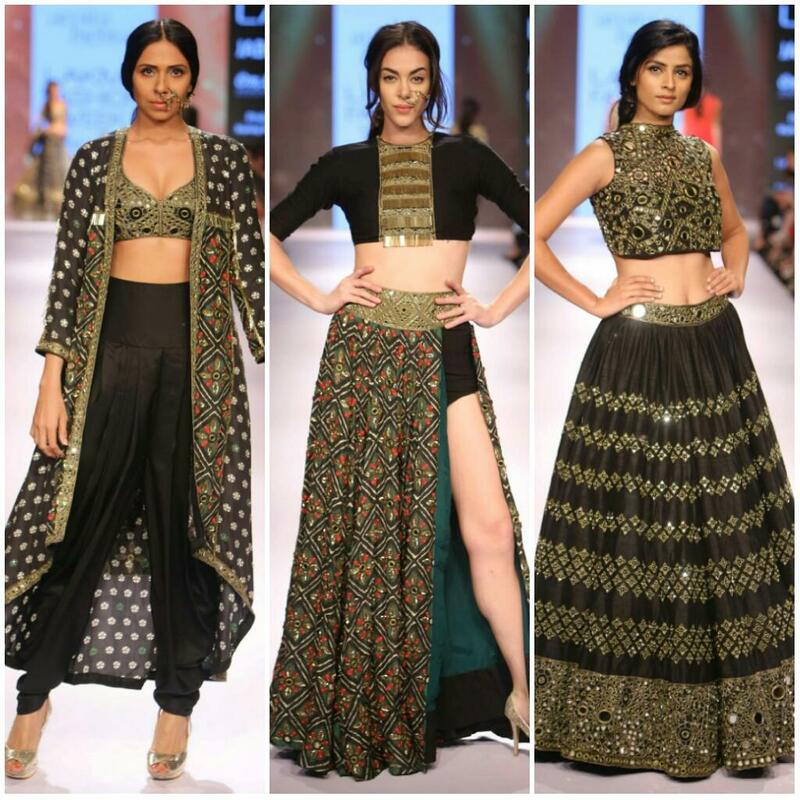 There was a lot of ethnic bridal styles presented on the ramp and my favourites Anuhree Reddy , Ridhi Mehra, Arpita Mehta and Payal Singhal all has some generous doses of festive ethnic wear sprikled in their collection which got me all excited. Apart from the usual designers i always turn to, designers like Neeta Lulla, Abu Jaini sandeep khosla and divya reddy also showcased creations which caught my interest. 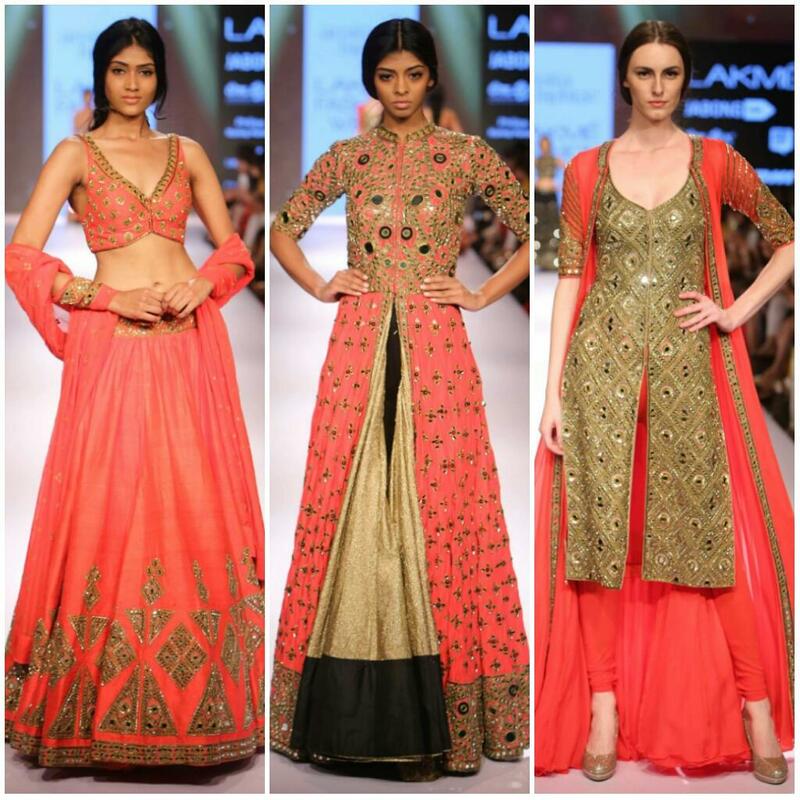 So without ranting more here i present to you my absolute ethnic favorites from Lakme Fashion week Winter/ Festive 2015. 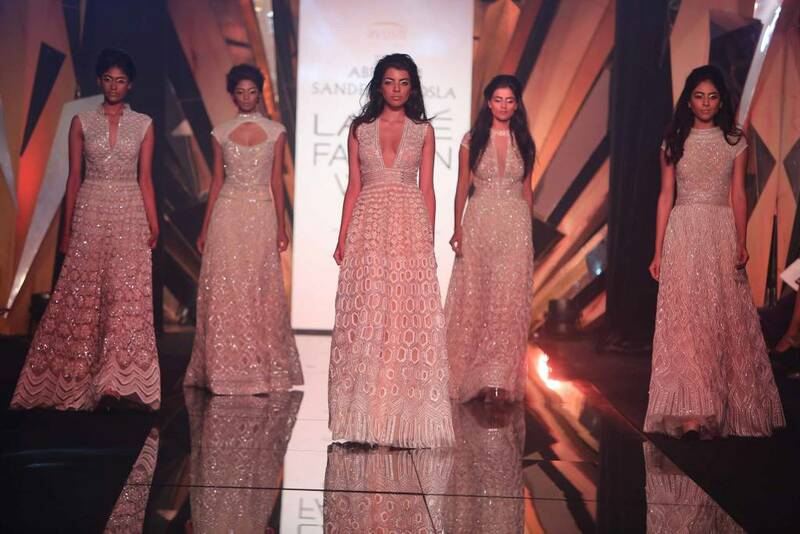 Tailor made for the contemporary bride Neeta Lulla's collection was a delightful treat to eyes with lace, bling, pastels and chiffon. Ive already covered the entire collection in a separate post here . Love how this pastel saree comes together with that blouse. Ridhi mehra : I loved every piece from Ridhi Mehras collection but not everything was bridal stuff . Here are the selected few which i thought were wedding appropriate. Signature shoulder floral detailing goes huge , the colour pops and the top design is super funky.Grab this for your mehendi i say! 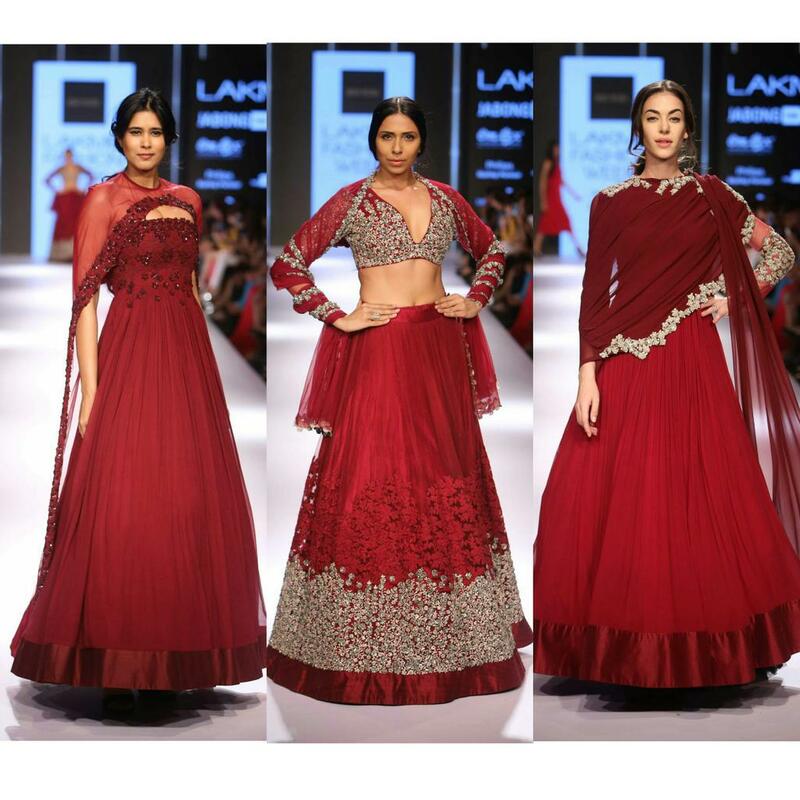 Marsala is the pantone colour of the year and Ridhi Mehra brings you lehengas in just that colour! I love the floral detailing and the drape. 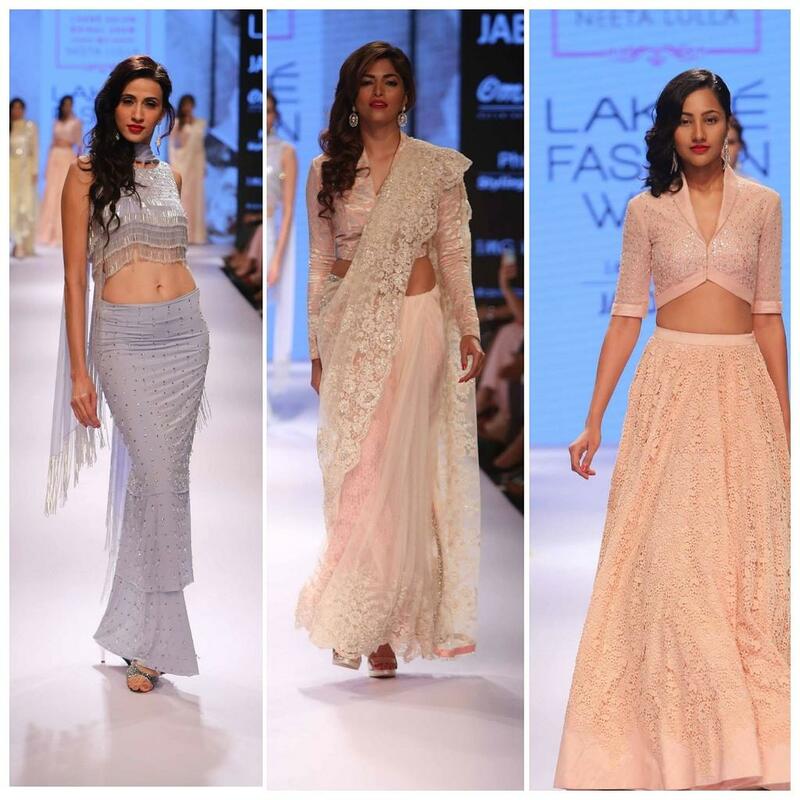 Anushree Reddy stuck to her netted lehengas and florals in girly colours. Divya Reddy did pastels and had amazing detailing on borders in her collection. There was too much of yellow in her collection giving me mehendi or haldi kind of vibes. I just loved this simple lehenga with embellished dupatta and the drape is just WOW. AM:PM dont do too much bridal or ethnic but this peplum creation i had to include in here. Abu Jani and Sandeep Khosla presented a retro glam collection which had plenty of bridal options featuring shimmer, mirror work, embellishments , thread work, ruffles and layers. This mint lehenga with mirror work is just amazing. Love it, especially the blouse. This gown in white and beige with chikankari work and subtle bling is sheer beauty. Payal singhal also dint have much of bridal but i love her crafmanship and this lehenga is so beautiful. Red yet well suited for the contemporary bride who wants zero bling. Did you like the bridal collections?